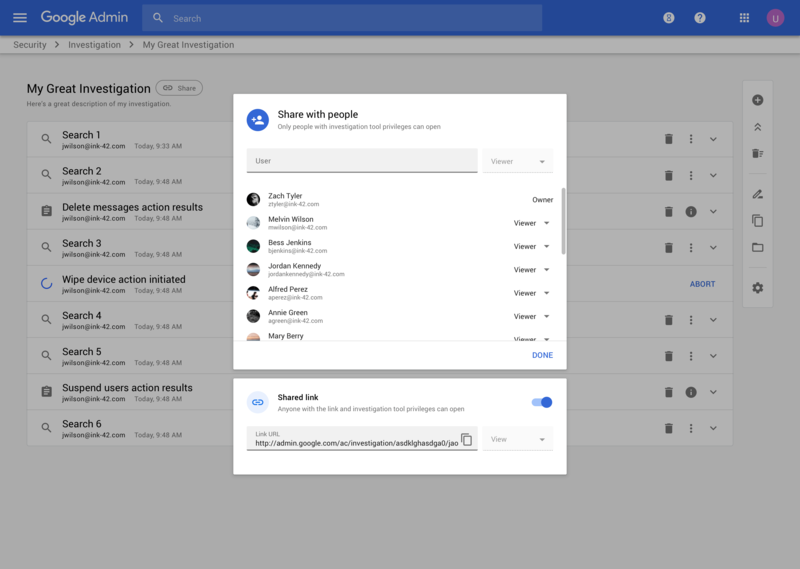 Security center for G Suite provides organizations with security analytics, best practice recommendations, and integrated remediation that helps admins take action against threats. 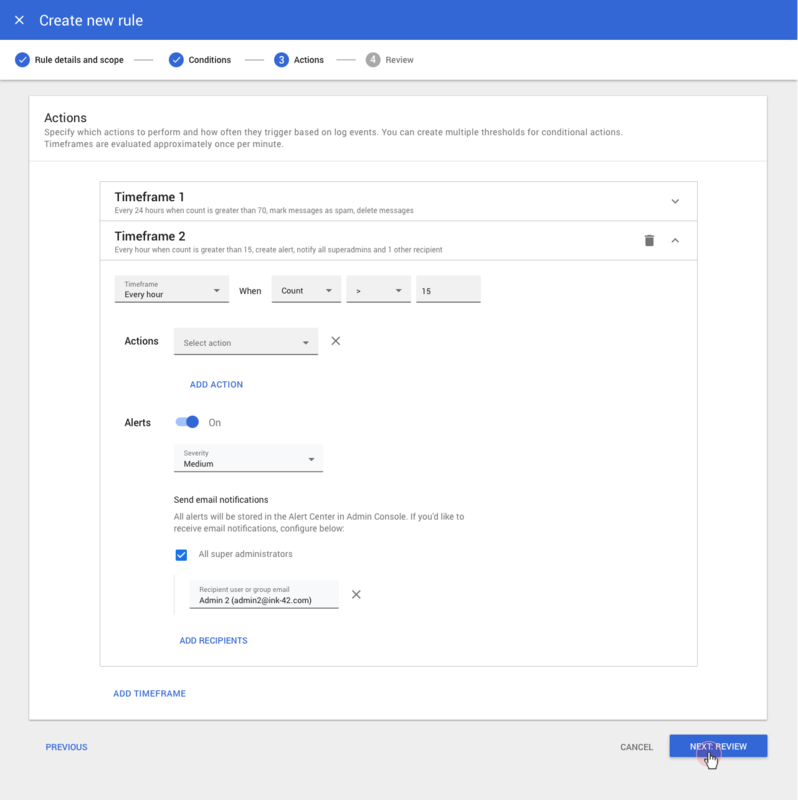 Now, we're introducing several features within the security center to enhance the admin experience with rule automation and admin collaboration. We want to make sure admins are well enabled to work together so that they can collaboratively assess their organization's exposure to security issues. With this beta launch, admins can now save and share their investigations using the security investigation tool. Create automated rules to perform remedial actions. Send notifications to the Alert Center, where teams of admins and analysts can take ownership of alerts and status updates as they work through security investigations together. We've been previewing these new features within the security center with a small set of testers and customers. We're excited to extend these capabilities to more customers through our beta program. These features are available for customers with G Suite Enterprise, G Suite Enterprise for Education, or Cloud Identity Premium licenses. Only G Suite super admins may apply with their primary domain on behalf of their organization. This product is beta. For more information on our product launch stages, go here.